Silba Siida is owned by a young indigenous Sámi couple, Anna and Erik, who still live the indigenous lifestyle, based on reindeer herding. The company evolved from their great pride for their culture, which the couple love to share with visitors. Once in the village you will experience, traditional food, spirituality, history and so much more. Enjoy a couple of hours spent gathered around the fire, where you can listen to joik, the traditional Sámi way to musically tell a story and to remember the old ways. 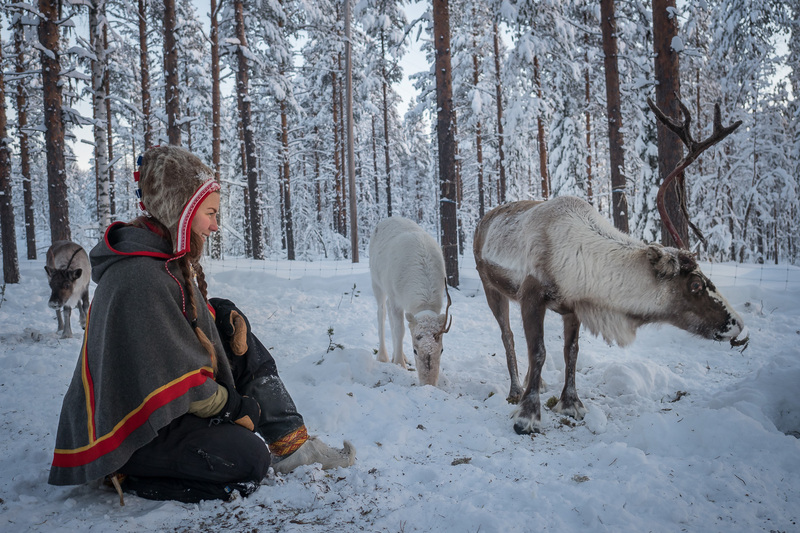 Until recent years, the Sami did not have a written language, and so storytelling is an important part of their culture; you will listen to tales from ancient times until today around the campfire. Stories about reindeer, the eight seasons and things you may sense only when you are able to live close to nature. Authentic Sámi food is something that both Anna and Erik heartily embrace. Guests will be invited to cook and taste traditional meals from the Sámi kitchen. The menu will depend on the season and what nature’s pantry will have on offer. All food will be prepared over an open fire in the lávvu (tent house). The ingredients will be local specialties, such as reindeer, moose and fish. 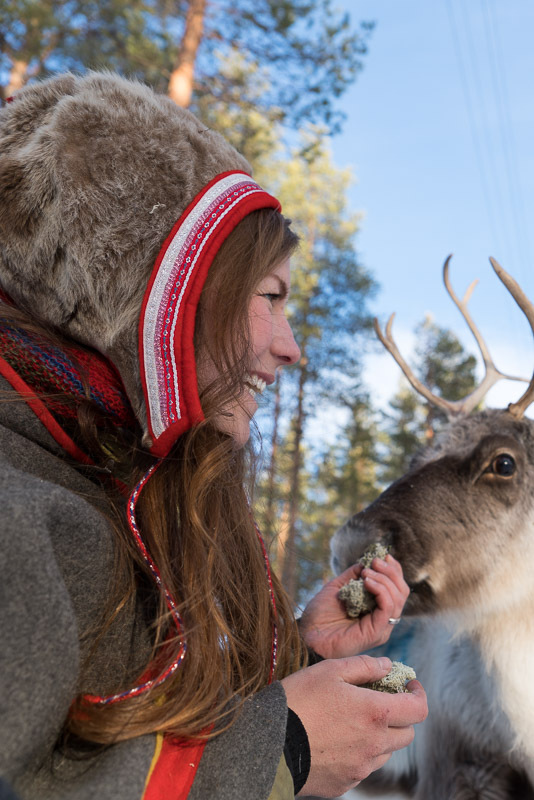 During the winter season, (December-March) you will meet their reindeer at close quarters; a unique opportunity. To hand-feed them is a real adventure. The camp is situated close to the Polar Circle. Not only is this a truly amazing experience for those interested in indigenous cultures, but, during winter season, if you are lucky, the Northern Lights will be dancing above. Anna and Erik welcome you to Silba Siida and a genuine Sámi experience.